When planning an event, especially when it’s a wedding in question, you’re confronted by multiple decisions. Budget. Number of attendees. Catering. Music. The thought bubbles just don’t stop popping up, do they?! These tiny details have a huge impact on the suaveness of your wedding celebrations. With all the wedding concerns, if you don’t put a lot of thought in your wedding venue, you can end up with a disaster on your hands. Yes, it’s true. To assist you in finding a wedding venue in the beautiful city of Bangalore, we suggest our top choices for banquet halls in Palace Grounds. Why Palace Grounds? Palace Grounds is one of the most famous areas of Bangalore known to be a host to major artist shows like David Guetta, Enqriue Iglesias, Akon and many more. The area is also home to humongous wedding halls, as large as a stadium where you can host your royal wedding. Take your pick. So if you are looking to invite a village and then some, Palace Grounds in Bangalore might just be the place for you. Scroll on for more. A big fat Indian wedding meets its dream venue at White Petals. Offering multiple banquet halls in Palace Grounds, Bangalore, this venue is a perfect match if you have a luxurious wedding on mind. If your wedding guest list crosses over 5000 guests, White Petals has arrangements for that kind of huge celebrations too. The venue combines its hall and garden area to give you a bigger space for an elaborate fanfare. They have an in-house decorations team that have a record of creating extravagant wedding set-ups. Thus, you can trust their choice. The venue allows you to make your own food and decor arrangements. Alcohol is not permitted at the venue. Do you want to book a wedding venue that is as large as a stadium? Gayatri precisely matches the need. Along with a wedding hall and a lawn area that can comfortably accommodate a large gathering, Gayati Vihar has a voluminous party area named Big Royal, which is considered to be one of the largest banquet halls in Palace Grounds, Bangalore. As a full-service wedding venue, it has a team of wedding experts offering all related services, including decoration, catering and entertainment facility. The venue does not permit alcohol on the premises. Offering a scenic view Nalapad Pavilion is purely a drop-dead gorgeous banquet hall in Palace Grounds. Right from the entrance up till the wedding stage, your guests are sure to be mesmerized by the grandeur it has to offer. The does not provide any in-house services, therefore is open to letting you make your own arrangements. The venue allows you to play music till late, enabling you to have a never-ending celebration. Alcohol is not permitted at your venue. If a glass house fascinates you, Palace Sheesh Mahal - one of the luxurious banquet halls in Place Ground will surely tickle your wedding goals. 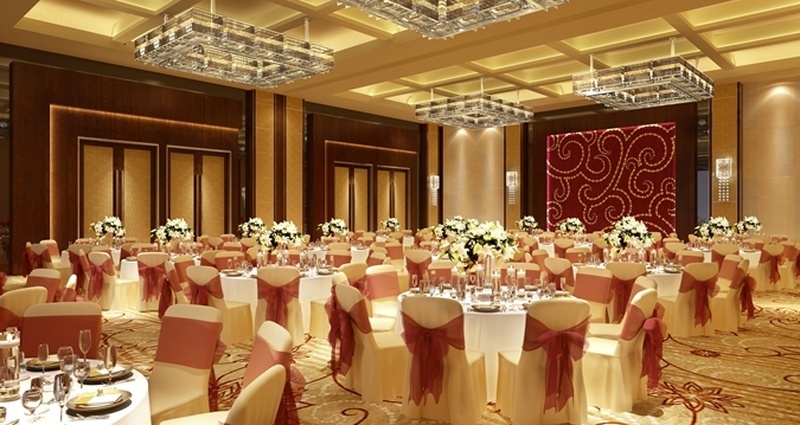 This stunning banquet hall is all things royal and doesn’t fall short in providing majestic service. Matching to the royal interiors of a king’s palace, their decorators design the banquet in a way that is heavenly. The venue permits outside caterers and DJ at the venue. Just like the previously listed venues, Palace Sheesh Mahal doesn’t allow alcohol on the premises. Another mind blowing wedding venue of Bangalore is the Princess Shrine. One of the largest banquet halls in Palace Grounds, Princess Shrine is perfect for couples wishing to host a chic and stylish celebration. The venue has small lawn area where one arranges for pre-wedding festivities. While their banquet space is large enough to accommodate a gathering of over 5000 guests perfect for a grand wedding reception. Their decorations team are up to date with the latest wedding decor trends; hence ensure your wedding set up looks marvellous. The venue allows you to hire your own caterers and DJ. 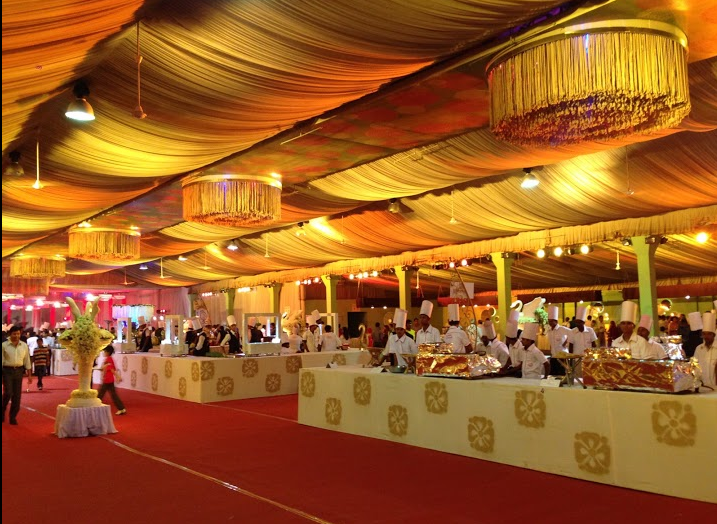 For small to medium sized wedding celebrations too, Bangalore’s Palace Ground has an elegant banquet hall to offer. ITC Windsor is a budget-friendly option for couples who wish to host an intimate mehndi, sangeet or wedding reception. With close proximity to all transportations across the city, this is an impeccable selection for couples wanting to offer convenience and comfort to their guests. Along with multiple banquet halls on option, the venue also provides a poolside venue offering couples a great space to unwind. ITC Windsor’s culinary experts prepare a great spread of cuisines. You can book your own decorator and DJ for entertainment purposes. The venue serves alcohol in-house; therefore outside arrangements are not permitted. If you still haven’t found your match, we’ve got more stunning banquet halls in Palace Ground listed with us. Take a look.